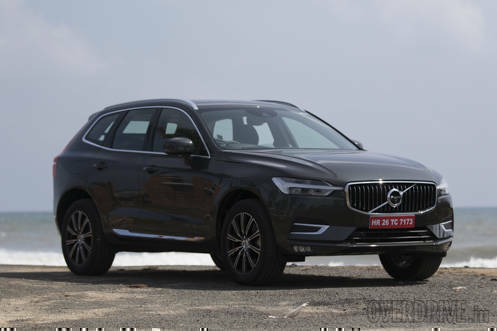 Volvo's 90 branded range of vehicles have truly enhanced the brand's image in the Indian market and their remarkable design and new age technologies have set a benchmark for the cars expected from this Swedish carmaker. Volvo is now focusing on their 60 branded range of vehicles - the first of which, is the XC60. It's a crossover that is much loved around the globe and the new one it appears will fit into the lineage just fine. It speaks the design language of its elders and though I'm not a big fan of the same-sausage-different-size philosophy, the elegance of Volvo's new design is something that I would openly welcome on various body styles. 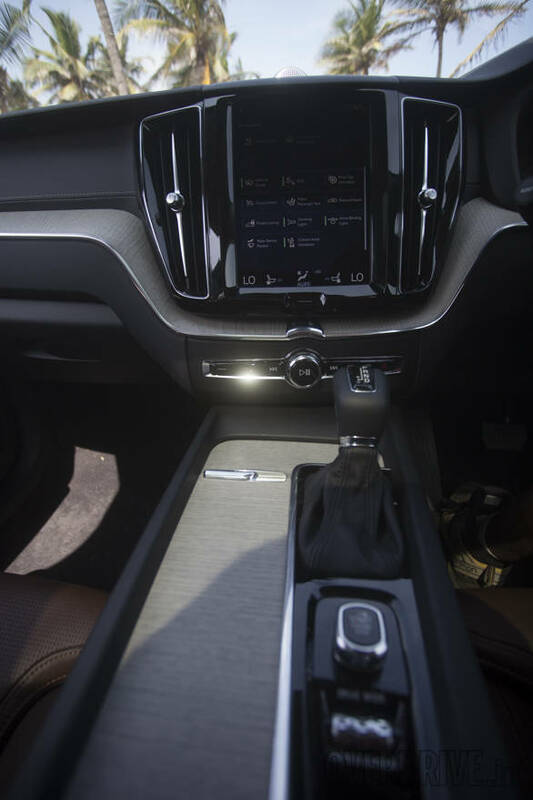 Like the 90 branded range of Volvo's, the XC60 too is built on the Scalable Product Architecture - a modular platform that allows Volvo's engineers and designers to customize the dimensions of the car to suit various body-styles. 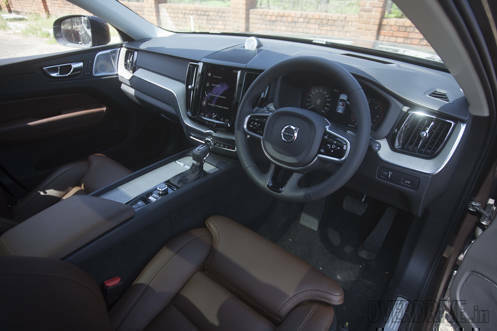 The distance between the front axle and the dashboard remains unchanged on all SPA cars though and this works in the XC60's favour by giving it proportions appropriate for a premium crossover. 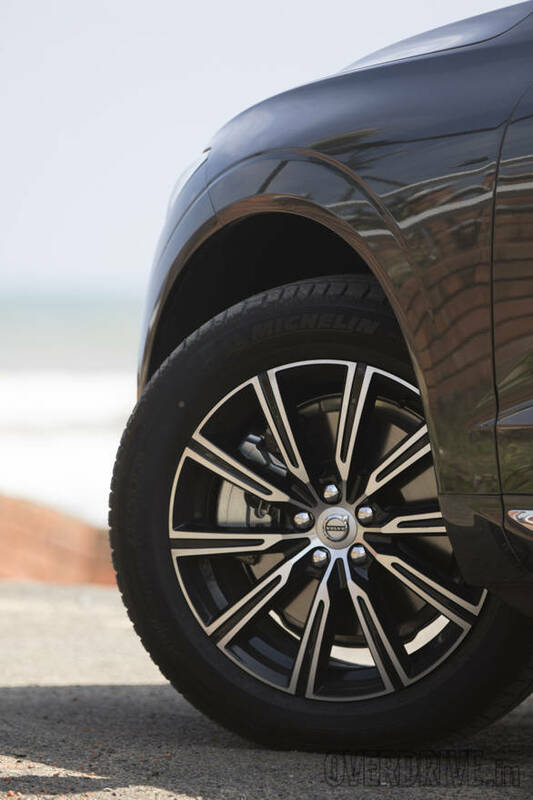 Compared to its highly successful predecessor, the new XC60 is 44mm longer, 11mm wider and 14mm shorter and the result is a crossover that has an athletic stance and looks very proportionate. The Volvo XC60 does resemble the XC90 in many ways, but its smaller dimensions are evident even when it's standing by itself. 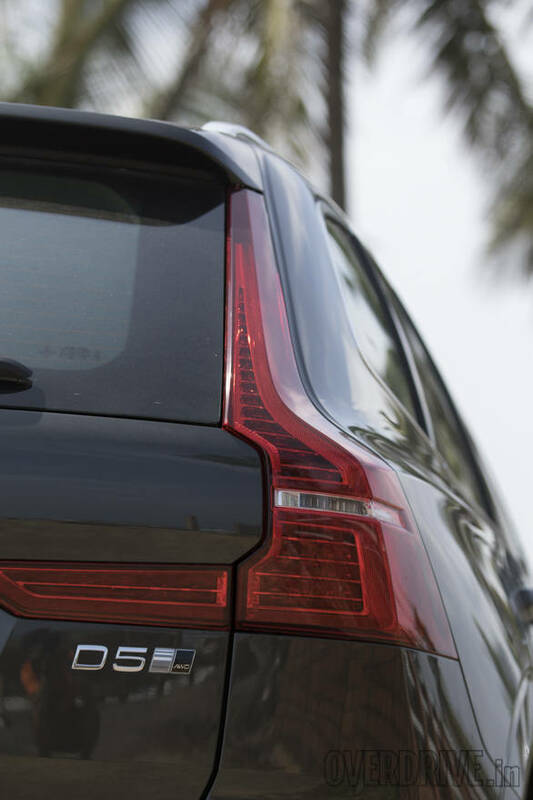 Another quick way of distinguishing the XC60 from the XC90 is the front face, where the Thor's Hammer daytime running lights poke their way out to reach the grille. 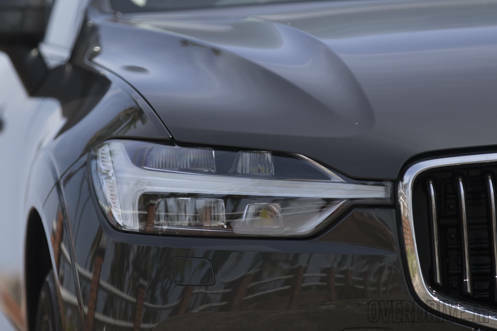 The headlight assembly is studded with adaptive LED headlamps and the rear is typical Volvo with the familiar design of the taillights. The side profile looks quite interesting too with the 19-inch wheels beefing up the stance. I particularly like the large doors which now extend all the way down to the floor and integrate the side skirting within the exterior door panel. This prevents your trousers from picking up stains during ingress or egress after an off-road session or a wet weather drive. Quite practical and thoughtful. Despite the lower height of the roof, getting in and out of the cabin is pretty easy. The steering and the vertical infotainment screen establish the resemblance with the XC90 yet again. It is actually a good thing since the buyer gets Volvo's top drawer equipment and materials even in the carmaker's medium-level car. A seamless panel of grey coloured open pore wood snakes across the length of the dashboard and its natural texture feels nice when you touch it. You will also notice a flag of Sweden embossed in the chrome lining on the dash. Its coloured counterpart, as always, is situated on the side of the driver's seat. 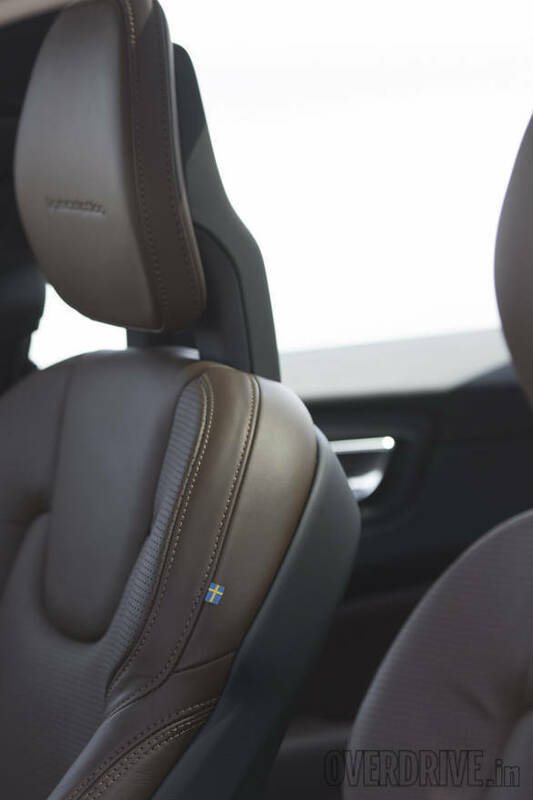 The perforated Nappa leather upholstery on the seats looks best in tan (which is getting increasingly popular with customers, says Volvo) and I like the soft texture of the leather used too. As in most new Volvo vehicles, the seats in the XC60 also have a slim profile and an orthopedic certified design. On the launch edition that you see here, these come with ventilation and massage functions for the front pair of seats. 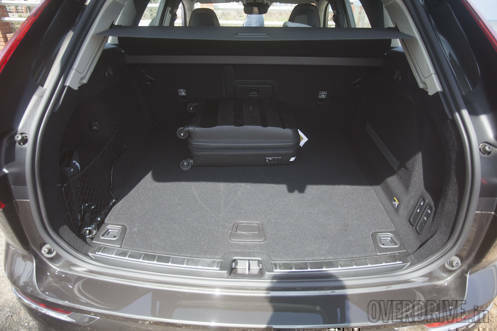 The rear is quite roomy and the seats seem comfortable for long distance journeys. Despite the narrow glasshouse, there is an airy feel to the cabin, thanks to the panoramic sunroof. Luxury car makers normally take audio sound quality very seriously and the XC60 has summoned the expertise of Bowers & Wilkins for its audio setup. It is made up of 15 speakers including a set of tweeters that are designed to play without any reverb; and an air-ventilated subwoofer that is the only one of its kind found in a standard fit automotive audio system. All this ensures the audio is great no matter what your choice of music or equalizer preset setting is. Should you choose to not play any audio at all, the cabin turns into a place so quiet, that it is pleasantly surprising for a diesel burning vehicle. Volvo has worked hard on insolating the road, tyre, wind and drivetrain noises and the result is clearly evident. 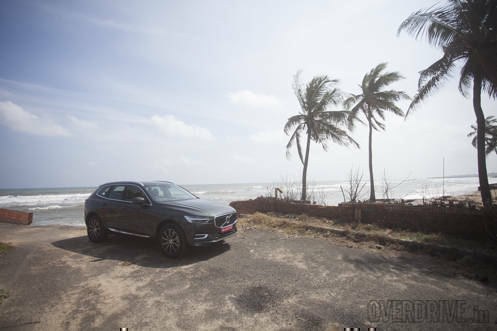 Our drive was largely limited to the smooth tarmac of Chennai's East Coast Road where we hardly experienced any road or tyre noise. The engine refinement is also impressive with the XC60 building pace deceptively. 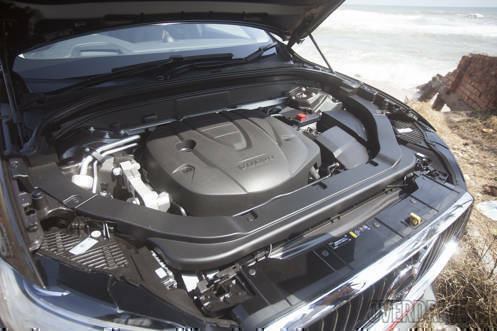 The engine in question is the same 2.0l four-cylinder motor that's available in the D5 variants of Volvo's 90 branded range of vehicles. It manages to churn out a commendable 235PS and 480Nm of torque, which are figures that are usually in V6 territory. Given the overall lightweight (~1860kg) of the Volvo XC60, the engine feels eager and enthusiastic. The eagerness of the engine is complemented by a fairly quick eight-speed transmission sourced from Aisin and a Haldex all-wheel-drive system. We have sampled this setup in the past and know that the XC60 is predominantly front wheel drive until there is loss of traction which transfers power to the rear wheels. I'm pretty sure in our test car the majority of the drive was with the power going to the front wheels only, since the straight roads and grippy tarmac were hardly a challenge for traction. At launch, the Volvo XC60 will also be offered with air suspension on all four corners that enables the car to alter damping and ride height if needed. Our test car let us choose between Eco, Comfort, Off-road and Dynamic modes to alter the nature of the suspension and drivetrain. Surprisingly, the Individual mode to set suspension and drivetrain parameters separately, wasn't available. That said, the preset settings work just fine. The XC60 is an easy driver when you want it to be and seems like it will deliver equally well when given the beans. If the list of safety features isn't the juiciest part of the brochure, the car wouldn't qualify as a Volvo. Appreciably, the carmaker hasn't shied away from bringing in some of its best safety tech to the India-spec XC60 either. For a mid-level offering, the list is commendable and the most notable features and assistance systems are front, side and curtain airbags, collision mitigation support at the front and rear, emergency steering assist, lane keeping assist and emergency braking assist. 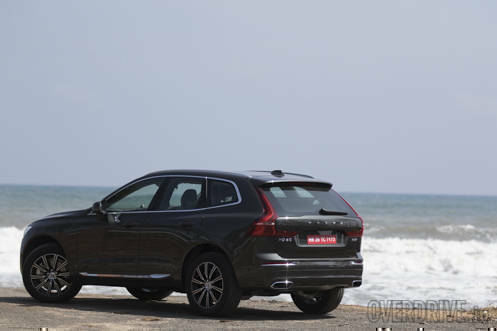 The City Safety package, which uses most of these systems in its application, had debuted in India on the previous generation XC60. The new one takes its further by being active at city as well as highway speeds, making the new Volvo XC60 a safer package overall. The previous generation XC60 was clearly the best seller for Volvo, contributing to 30 per cent of the carmaker's overall sales. In fact I had even termed it one of the best buys from Sweden for its practicality. The new XC60 only seems to make the deal sweeter. It is still as sensible as you would expect a Volvo to be, but the added enthusiasm and youthfulness should give it an even wider appeal.